For the most part this local stone church is 13th century but incorporates portions of an earlier one dating from 1170. In the west wall is one stone with Norman zigzag, and the rare pillar piscina is 12th century. 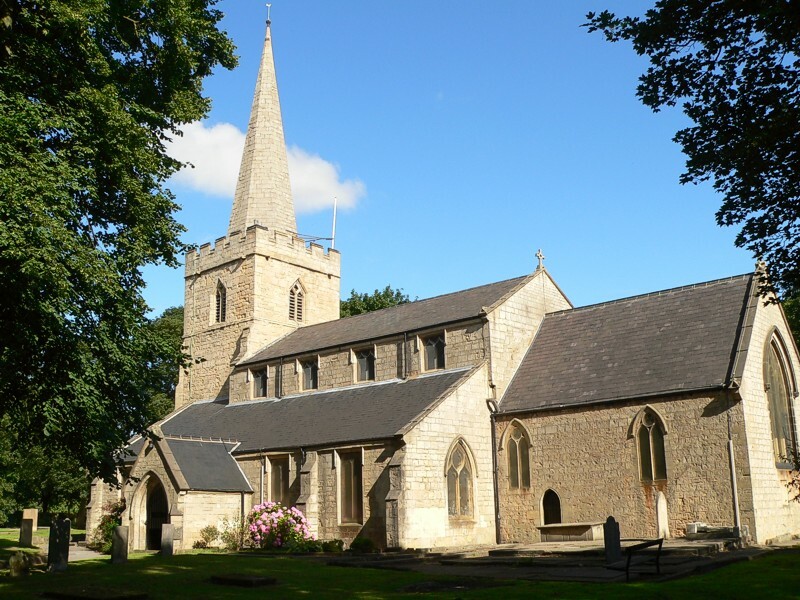 The building consists of a chancel, nave, aisles, south porch and an embattled west tower with lofty octagonal spire, and eight bells by Taylors hung in 1900, 1920 and 1946. The north arcade has circular piers with elementary waterleaf capitals, but has one respond with a delightful mid-13th century capital with stiff-leaf and human heads. The north door and the south arcade are also 13th century. A three-light window with ogee reticulation was re-erected against the south chancel wall in the 14th century. In 1391 money was left to complete the steeple, which rises behind the battlements without broach, but with two-light bell openings. The clerestory and the aisle windows are of the 15th century, and there are five stained glass windows. The chancel was rebuilt in 1854 and the aisles in 1867. Memorial tablets were erected for William Unwin and the Rev William Goodacre and a memorial stone pulpit for the Rev W B Stevens. In the chancel a stone marked with a bow and arrow and, originally, a sling and bugle is said to be a memorial for John, an ancient verderer of Sherwood Forest. A yew tree in the churchyard is about 800 years old.